Here in America, we expect athletes to eat lots of meat so they can grow up big and strong enough to concuss other athletes. The stars we admire bear out that expectation: legends like Babe Ruth, Lawrence Taylor, and Glen "Big Baby" Davis are larger-than-life figures who probably also ate a ton of steak. So perhaps it's not surprising that the concept of a professional athlete performing at a high level on a vegetarian (or vegan) diet is foreign to most sports fans. And food fans, really. That's what makes these 12 athletes so damn impressive; they flouted conventional wisdom, yet continued to excel. Yes, Jurek ran the entire Appalachian Trail in 46 days. Which is an (unofficial) world record, obviously. It's kind of like that time you and your college friends talked about quitting your jobs and hiking the Appalachian Trail, a dream that usually lasts about 46 days before you return to cheeseburger-eating complacency. Parish was a key player on Larry Bird's Boston Celtics teams of the '80s, and a Hall of Famer who (you guessed it) didn't eat meat! There's no direct evidence, but it's pretty safe to say that Bird was not influenced by Parish's health consciousness. 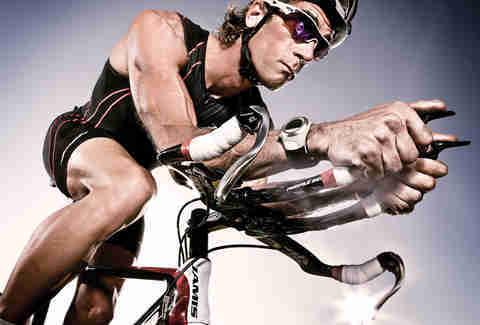 Rich Roll was an overweight lawyer who'd just turned 40 when he decided to overhaul his life, become a vegan, and start competing in extreme endurance events. Yeah, what have YOU done with YOUR life? In the seven years since, he's completed the Epic5 -- five Ironman-distance triathlons on five Hawaiian islands in less than a week -- and has become a powerful spokesman for plant-based living. In the intro to Jannequin Bennett's Very Vegetarian, Lewis says that his "best year of track competition was the first year [he] ate a vegan diet." Take his word for it, because how many gold medals have YOU won? 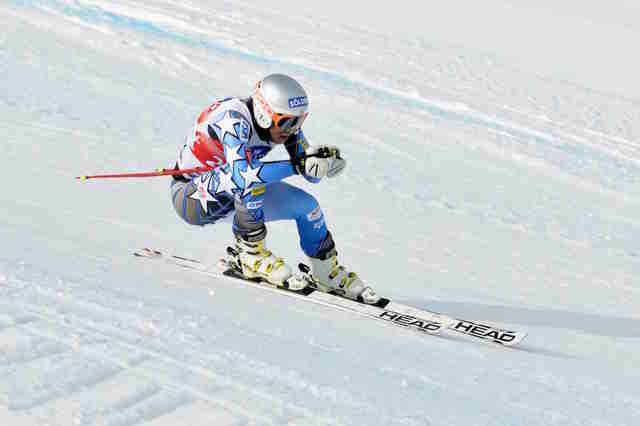 In addition to skiing at an Olympic level, Bode Miller parties at an Olympic level, which certainly qualifies him as a badass athlete. He was also raised a vegetarian, which is pretty cool, too (but not as cool as admitting you'd rather party than medal). This dude is a vegan, and can do this. A 550kg yoke-walk speaks for itself. You may know Tony Gonzalez as the shiny man covered in grease on CBS's NFL studio crew, but back when he was hitting his 30s as a record-breaking tight end, Gonzalez was looking for a way to prolong his career (and life). He found it by adopting a meat-free diet, which he says helped his performance and alleviated his arthritis. 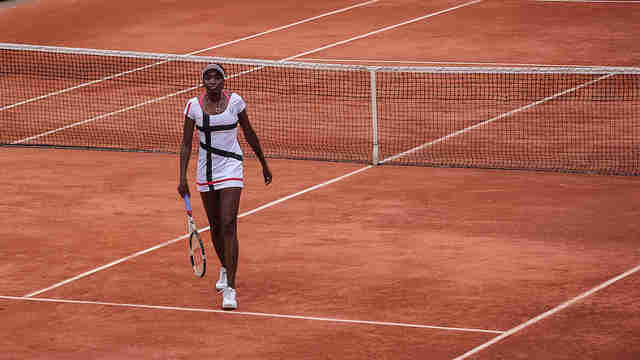 Serena certainly overshadows her sister, but Venus has never been a slouch. 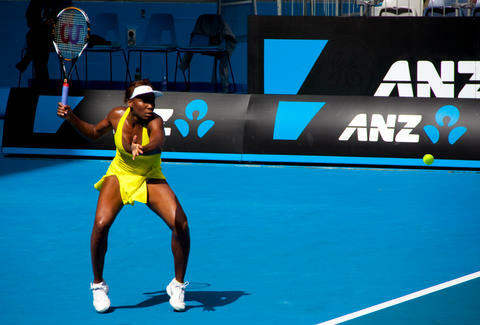 The older Williams sticks to a vegan diet, which she says is "a great lifestyle for long-term stability." That lifestyle has presumably been cleared by her father. For some reason, mixed martial arts and animal flesh seem like they should go together. Can't quite put our fingers on why. But Danzig loves animals and the environment, so he decided to go vegan. Who would've thunk it? There must be something about tennis and vegetarianism. 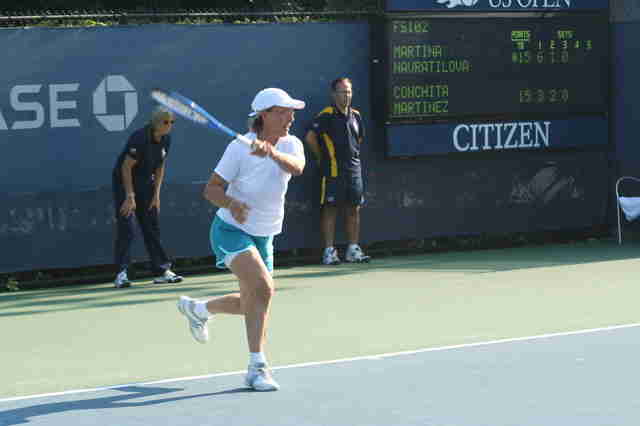 Navratilova competed well into her 40s, and claims a plant-based diet played a huge role in her success. She also implied that W-era America might be a little bit worse than communist Czechoslovakia, because Bush was elected. Pretty badass. Brendan Brazier is one of those people who does so much that just thinking about him will make you feel horrible about yourself. Sorry. 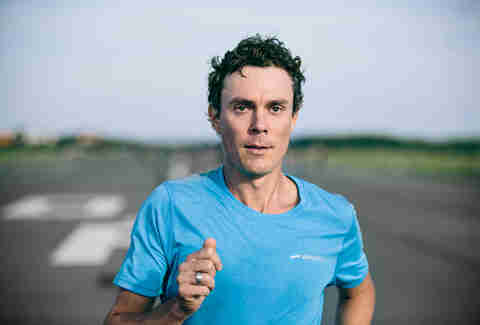 He's a two-time Canadian 50km Ultra Marathon Champion, started his own line of plant-based products, writes books, etc. etc. etc. All done with plants only. Carter is a 300lb vegan, and not the Prince Fielder-eating-a-lot-of-Cap'n Crunch kind of vegan. Of course, you could make some kind of joke about the Bears' defense and veganism, but we're WAY above that. Now, none of this is to say that giving up your burgers will turn you into the next Tony Gonzalez (and gosh, we sure know how many great burgers are out there). So don't go thinking you can quit your day job and become a pro athlete if you quit meat. Anthony Schneck is the health editor at Thrillist and has won Wimbledon 0 times. Follow him: @AnthonySchneck.